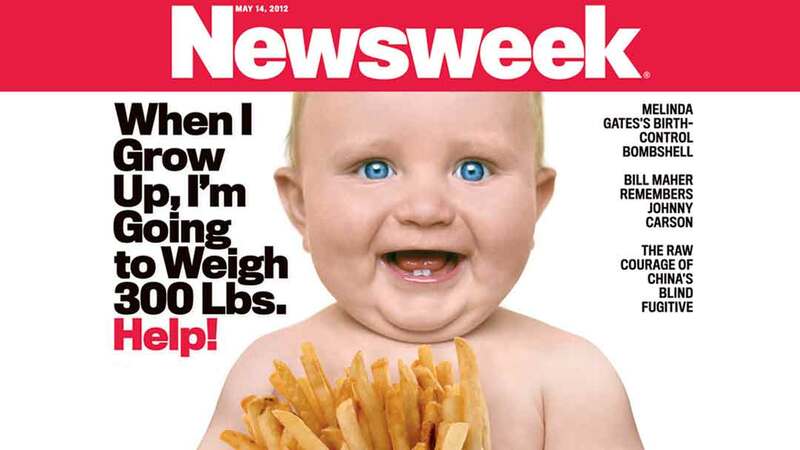 Gary Taubes has researched an important article for Newsweek with, “Why the Campaign to Stop America’s Obesity Crisis Keeps Failing.” He accurately points at sugar and starch rather than saturated fat or lack of exercise, as the real weight-gain culprits. However, Taubes, himself, makes a critical mistake. He dismisses the overwhelming research demonstrating that these sweet and starchy carbohydrates are also highly addictive. Taubes insists that the problem is simply our ignorance about the unique weight and diabetes promoting attributes of refined carbohydrates, especially high fructose corn syrup. Having worked with thousands of overeaters since the early 1980s, I must disagree with his conclusion. All of my clients have known that refined carbohydrates were their main enemies. However, their knowledge did not protect them from the biochemical ferocity of their food addictions. The impact of carbohydrates on the human brain’s pleasure centers is now uncontested. In 2007, a U. of Bordeaux study found that sugar was four times more addictive than cocaine. Many other studies compare sugar’s effects to those of opiates, because of sugar’s impact on endorphin function. NIDA chief, Nora Volkow, acknowledges sugar’s effects on our dopamine reward function, in particular. As Taubes helpfully points out, we have been demonizing animal protein- especially red meat- for decades, despite the fact that our consumption of meat has dropped steadily since the seventies, while our weights (and carb intake) have both escalated. I would argue that Americans have actually become protein malnourished, because our appetites for carbohydrates have so greatly increased. The brain requires high quality protein, to keep its powerful appetite-regulating neurotransmitters adequately fueled (among thousands of other protein fueling requirements—from muscles and bones, to hormones and eyelashes.) However, a brain that is malnourished in protein, and deficient in neurotransmitters, is a highly addictive brain, that is very vulnerable to the influence of drugs and other addictive substances, including sugar. In our experience, increasing dietary protein is essential for the treatment of sugar addicts. Many also require a “jump-start” with nutritional supplements. By fueling the brain with the four specific amino acids (there are 20 amino acids to choose from) that the brain requires to produce its key appetite-regulating neurotransmitters, we have been able to easily and quickly turn off cravings for sugar and starches. 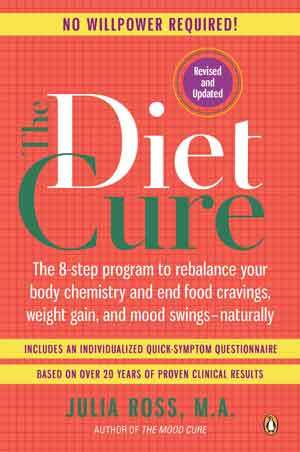 I have documented this work in the revised and updated edition of my book The Diet Cure and in my newest book, The Craving Cure.